All of our teams are designed with one thing in mind: to give you the team that will best understand your world. 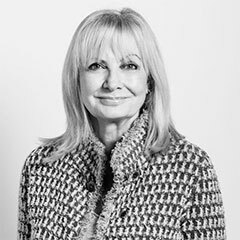 As well as having a dedicated member of our senior team who actively leads your account and an account team with the experience to deliver for you, as a Pagefield client you can tap into one of the best networked agencies in London, led by our world-class Board, which is chaired by Teresa Graham. Before launching London’s fastest growing PR agency, he was Director of Corporate Affairs and Chief of Staff at ITV plc. Mark also sat on the main board of Camelot Group and transformed the company’s reputation from Britain’s most unpopular corporation to the world’s most respected lottery operator. Mark also ran Camelot’s campaign for the £50 billion third lottery licence and then lead the licence negotiating team. As Public Affairs Director for ITN, Europe’s largest commercial news producer, he ran the company’s campaign to win the ITV News contract against fierce competition from Sky News. He also successfully ran a raft of lobbies to protect freedom of expression in broadcast journalism. Mark founded Pagefield in 2010, growing the company to nearly 100 staff and securing more than 200 clients since launch, including Airbnb, Discovery Networks, Kellogg’s and the World Economic Forum. This year Mark co-launched a second agency, Pagefield Global Counsel, which offers advice across litigation PR, crisis PR and international affairs. In addition to his work at Pagefield, Mark was a Trustee of the Museum Association, Convenor of Communicators for Britain during the EU referendum campaign and an advisor to the Archbishop of Canterbury. He is a Commissioner of the Royal Hospital Chelsea and a Member of the Advisory Board of the diversity network, Radius. 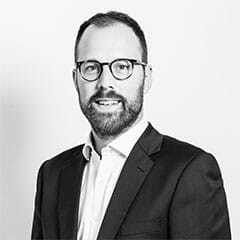 Oliver is Pagefield’s Chief Executive, with day-to-day responsibility for running the business and overseeing all of its client, team and external-facing operations. He is one of Pagefield’s most experienced corporate affairs practitioners and he is available to all of Pagefield’s clients to offer strategic counsel when required. He is also the day-to-day lead Partner for multiple clients including Airbnb, Discovery, ITN, Leidos and Motability. 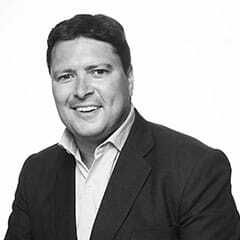 Oliver has over 16 years’ experience campaigning and bid support for commercial broadcasters, the film industry, and the property, automotive and defence sectors both in the UK and Brussels. Immediately before joining Pagefield, he was Head of Corporate Affairs at the UK Film Council, where he provided senior counsel on corporate communications, acting as a spokesman with international, national and specialist media on the full range of issues in the film sector. 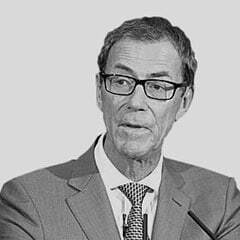 In 2007, Oliver was recruited by ITV plc to help the company develop a fresh and ambitious policy agenda, and during his tenure, he successfully reinvigorated ITV’s parliamentary support. Oliver’s career has spanned the entire communications spectrum, taking in public affairs, media handling, crisis management, and high-profile campaigning, as well as a period working for a British Member of the European Parliament. Oliver graduated in European Studies and French from Durham University and he is a Freeman of the City of London as well as a Liveryman of the Worshipful Company of Haberdashers, where he sits on the Civic City Committee. Sara is one of Pagefield’s Founding Partners. Her primary area of responsibility is new business and growth. She oversees all proposals and pitches and then works alongside new clients and the relevant account team to ensure a smooth transition: ensuring that Pagefield lives up to the promise of the pitch. Sara also provides senior counsel to a small group of clients. Sara’s experience in corporate communications spans over 20 years including 15 years in-house in the private, public and third sectors and five years at global PR agency Hill & Knowlton where she was a Board Director and member of the ExComm. Over the course of her career she has worked for or advised organisations at a regional, national and international level including UNICEF UK, the Advertising Association, Transport for London, Kelloggs, B&Q, Camelot and EDF Energy. She started her career in Parliament working for the Labour MP, the Rt Hon Peter Shore MP. Having spent 15 years on ‘your side’ of the table, Sara approaches client work with a very clear understanding of the inherent pressures of placing your reputation in the hands of an agency. She has spent the past five years working with her fellow Founding Partners to create the kind of agency that she always wanted and never found: one that works hard to understand your business and your environment; one that will offer tailor-made strategies and flawlessly implemented plans; one that ensures the involvement of senior people in all aspects of the work – and not just the pitch. Gráinne Warner is Pagefield’s Finance Director. Gráinne has worked in a financial capacity in a wide variety of industries for over 25 years and joined Pagefield in 2010. She qualified with the Chartered Institute of Management Accountants (CIMA) and was accepted as a fellow of the Institute in 1999 in recognition of her strategic roles working at board level over the course of her career. Before setting up as a freelance management accountant in 2001 Gráinne was Head of Finance with the ITV Network Centre which she left following the birth of her first two children. In the time since, Grainne has provided strategic financial services to a range of SMEs, developed a second career in complementary therapies as well as working in a number of voluntary positions. In addition to her work at Pagefield, Grainne is a Director and serves on the board of the UK Reiki Association and Treasurer of a US not for profit corporation, the Reiki Foundation International. Geoff is a corporate communications specialist with a track record of advising clients – including multinationals, start-ups, governments, charities and campaign groups – on media relations, thought leadership, issues management, corporate social responsibility and stakeholder engagement. 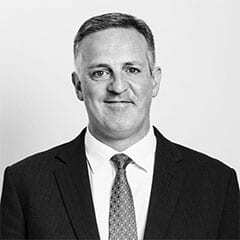 Geoff joined Pagefield in March 2014 and brings more than eight years’ consultancy experience working for organisations across a range of sectors including technology, finance, enterprise, retail and not for profit. Clients past and present include BT, HP, The Economist, Business Growth Fund, John Lewis, Stonewall, General Mills, Sime Darby, the Government of the Falkland Islands, and the Institute of Ideas. Before making the move into PR, Geoff completed internships with a number of Liberal Democrat Members of Parliament. He is a politics graduate from Bristol University. Philip is an award-winning former Times journalist, now providing high level media advice, strategic insights and campaign delivery to clients in the transport, financial services and consumer sectors. Philip has developed narratives for some of the biggest names of British business. He also leads hard-hitting campaigns for leading financial services companies and transport groups. Philip’s communications career is informed by 20 years’ experience in national and international media, including transport, business, lobby and overseas reporting. 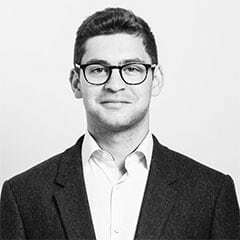 Liam is a Partner at Pagefield, recently joining from the Foreign and Commonwealth Office (FCO), where he spent a year as Boris Johnson’s Director of Political Communications. He was responsible for setting and delivering the communications and political strategy for the Foreign Secretary within the FCO. Prior to joining the FCO last year, Liam was Head of Press to the Governor of the Bank of England, Mark Carney. Earlier in his career, Parker was Official Spokesman for the Chief Secretary to the Treasury, between 2007 and 2011, following a role as account executive at consumer PR agency Shine in 2007. 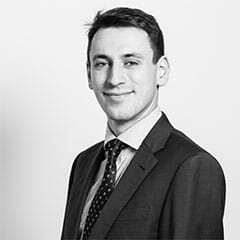 Kieran is a public affairs specialist with seven years’ experience of advising clients across a diverse range of sectors including manufacturing, energy, technology and housing. He possesses a strong background in developing and implementing successful campaigns and engagement programmes across Westminster and Whitehall. 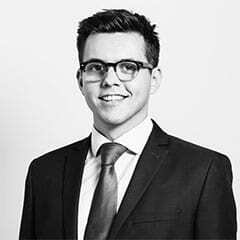 Kieran joined Pagefield in March 2016 from Tata Steel Europe where he was responsible for leading on UK campaigns over energy costs, business rates, skills and innovation. He previously spent over five years in consultancy working for organisations such as Sky, Cuadrilla and Three Mobile. He started his career in the constituency office of Rt Hon Ruth Kelly MP. Shaya is an Associate Partner at Pagefield, specialising in reputation management, public affairs, crisis communications and privacy protection. He brings over ten years of industry experience advising companies, individuals and families on all aspects of their communications. Shaya has substantial experience counselling major global businesses, high profile investors, national governments and political leaders, including on international electioneering, in the UK, Europe, CIS, Middle East and Africa. Shaya has also provided communications support around some of the highest-profile litigations in the UK and internationally. Before joining Pagefield, Shaya headed up the Corporate Communications practice at a boutique, international reputation management company for over five years. Prior to this, Shaya managed the development and execution of public affairs and issues management programmes for Bechtel’s operations in the UK – one of the world’s biggest project management, engineering and construction companies. Shaya was also formerly a political consultant in the London office of a global PR agency. In addition, Shaya was previously a political researcher to Prime Minister, Rt Hon Theresa May MP, and a Campaign Researcher in the Conservative Research Department. 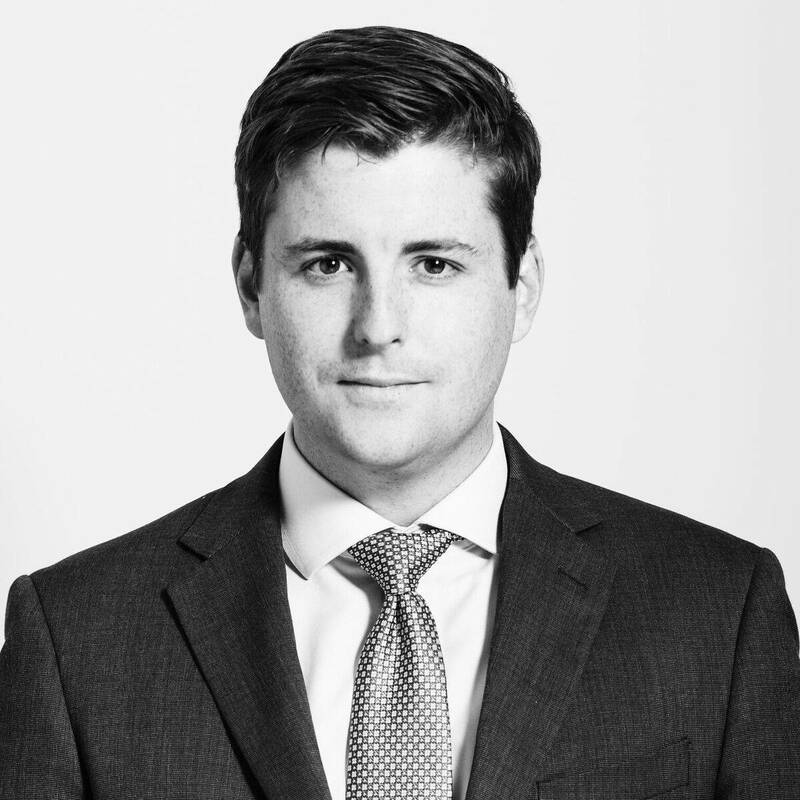 David joined Pagefield in October 2016 and has over five years’ experience in managing high-level political and media campaigns and providing reputation management counsel to individuals and companies in crisis situations. He has advised clients across a number of sectors including energy, property, transport and sports business, and has designed and implemented crisis and issues protocols for a North Sea oil and gas company and an international business services provider with over 70,000 employees. Throughout his career, David has advised clients in Russia, Turkey, Nigeria, Brazil and across the Middle East. David studied English literature at Newcastle University, and received his journalism diploma at the Press Association. 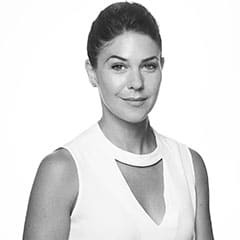 Olivia joined Pagefield from specialist real estate investment and advisory company Delancey. A dynamic communications professional with a decade of consumer campaign, brand development and crisis experience, Olivia has worked for some of the world’s highest profile ventures and destinations, such as Here East on The Olympic Park, Burlington Arcade in Mayfair and Raffles Hotel Group. A keen skier and manager of Delancey’s CSR initiatives, Olivia led the Principal Sponsorship of British Ski and Snowboard for six years. In this time, she supported the formation and launch of the charitable British Snowsports National Foundation, hosted the British National Alpine Ski Championships in France, and was invited to become a member of the fundraising board for the innovative youth snowsports charity, Snow-Camp. 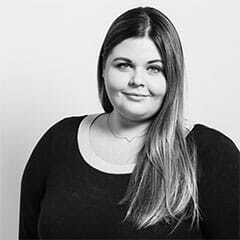 Prior to her time in-house at Delancey, Olivia spent a number of years at The Communication Group and began her career at the global communications agency, Edelman. Mallika is a Specialist Partner at Pagefield – bringing over 15 years of corporate reputation, business-to-business public relations experience to the team. Mallika’s key areas of responsibility include supporting new business development efforts and providing strategic and creative input to integrated client campaigns across digital channels, social and traditional media. Her experience spans large, global organisations, trade associations and exciting startups, with clients including EY, Coca-Cola GB and EUG, International Sweeteners Association, SABIC (Saudi Basic Industries Corporation) and De Beers Group. Mallika began her career as a journalist covering the global capital markets, becoming Assistant Editor aged 22. She then went on to a brief stint at a new Financial PR agency, before moving to WPP’s Hill & Knowlton. Here she managed the account for SABIC, the Middle East’s largest non-oil corporation, which spanned seven regions and incorporated industry trade fairs, media relations, corporate brochures, intranet launch and internet re-launch. Other clients included profile-raising programmes for the UK Government’s Learning and Skills Council, thought leadership for PricewaterhouseCoopers and the pharma giant Merck Sharpe and Dohme, raising their profile following a reputational issue. 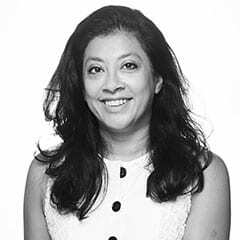 Mallika next moved to an independent consultancy, where she oversaw the DeBeers Group Consumer Confidence campaigns, developing strategic industry partnerships and thought leadership, as well as CIBJO, the World Jewellery Confederation. She also ran the integrated Public Affairs, Financial and Corporate communication programme for Development Securities PLC and several other property companies. During this time, she started a food blog, which led to a cookbook published globally by Harper Collins, and had two children. Laurence has almost 15 years experience in public relations across multiple disciplines including corporate PR, crisis comms, campaign work, sports, investor relations and financial PR. He began his career in-house at J Sainsbury PLC, as an investor relations specialist. This was followed by four years at FTI Consulting (then Financial Dynamics) as a real estate specialist, working for developers, fund managers and listed companies in the sector. Prior to joining Pagefield, he spent seven years at Mayfair agency Dragon Advisory working on real estate, Government, corporate, crisis, campaign and sports clients. 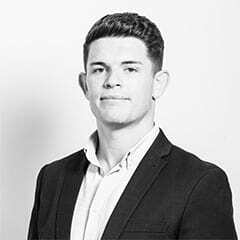 Josh is a Senior Consultant at Pagefield working across various public affairs and corporate communications accounts including AB InBev, Discovery Communications and Experian. His work on AB InBev in particular has included working with household names like Budweiser and Stella Artois, leveraging the profile of these brands to communicate AB InBev’s corporate message and delivering policy asks to politicians. Josh has extensive experience developing corporate campaigns for political audiences and navigating challenging issues with Westminster stakeholders. Josh’s corporate communications expertise is complimented by his political campaigning experience and networks developed as a result of his involvement in two election campaigns and the EU referendum campaign. 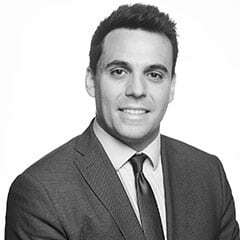 Prior to joining Pagefield, Josh worked in finance for two years in the world’s largest executive search and talent consultancy firm, Korn Ferry. His responsibilities included revenue analysis and group reporting for the EMEA region as well as a range of projects around the acquisition of smaller entities. 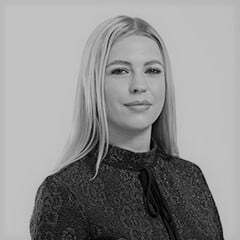 Kate joined Pagefield in October 2017 and has worked in agency for several years advising a wide variety of clients on contemporary campaigning, message development and political stakeholder engagement. She has particular experience in devising effective messaging for clients within the technology sector with a deep understanding of the broadband and telecommunications market and online communications service providers. Kate also has experience in the transportation sector with a particular interest in aviation and has worked on the creation and implementation of a campaign to raise the profile of the nuclear industry, primarily amongst young people and those who know least about it. Kate began her career working for a global communications agency which included organising the secretariats for pharmaceutical and not-for-profit educational associations and managing a team across multiple regions. Kate also has expertise in successful event management within the UK and throughout Europe. Kate graduated with a degree in Politics from Cardiff University. Ed is a Consultant at Pagefield, having joined in October 2017. He delivers strategic, media and political relations advice and campaigns for clients including Motability, EEF and Experian. He has over three years of in-house and agency experience, joining Pagefield from ERSA, the UK trade body for employment support providers, where he led on its external affairs across a range of areas including Brexit, devolution and labour market policies. Prior to this, he worked for a public policy communications consultancy, delivering public affairs and public relations initiatives for a range of clients in the technology, education and social policy spaces. He also has experience of working on national campaigns, having been seconded to the Labour Party press office for the 2015 General Election. Ed holds an MSc in European politics from the LSE. Will is a specialist in proactive and reactive personal publicity, crisis management, social media advice and activation, sponsor demands and management relations. 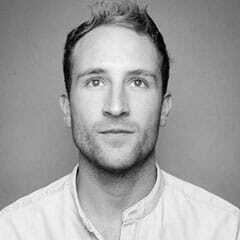 Will joined Pagefield from sports PR agency Soapbox London, where he spent just under two years as a Senior PR Manager. At Soapbox Will was responsible for building the brand of promising young athletes such as Rio Olympian turned professional boxer, Joshua Buatsi, British Formula 3 driver, Billy Monger and Formula E test driver and W series driver, Jamie Chadwick. During his time at Soapbox, Will also worked with large brands such as Turkish Airlines and Omega to activate their sponsorship of sporting events such as the TA Open and Omega European Masters, and has also supported the Anthony Joshua, Marcus Rashford and Bradley Wiggins accounts. He has a combined nine years’ experience working in PR across entertainment and sport, having previously worked at both Sky and Sky Sports as a publicist. Steph is a consultant at Pagefield, helping clients to successfully manage their reputations by providing strategic corporate communication council. Her portfolio of clients includes AB InBev, Ola and the Crop Protect Association. Her work on AB InBev in particular has included growing the category narrative around sustainability and responsible drinking, as well as helping them develop and communicate their corporate purpose more effectively. 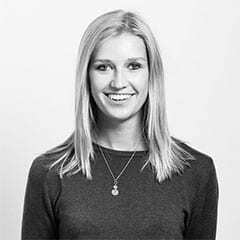 Prior to joining Pagefield, Steph worked with consumer facing corporates for over five-years, including Facebook, Philips and Danone. She specialised in reputation management and corporate campaigning, advising senior executives on how to simultaneously raise their profiles and take a position on important societal issues. 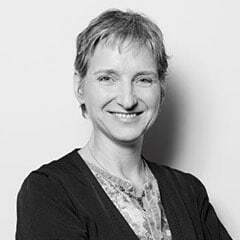 She has extensive experience of managing global and purpose led campaigns, integrating them across multiple channels. 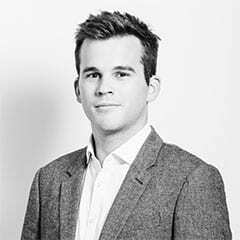 Jack joined Pagefield as a Consultant at the beginning of 2019 and provides media relations expertise across a range of clients including Starling Bank, BAT and Zego. 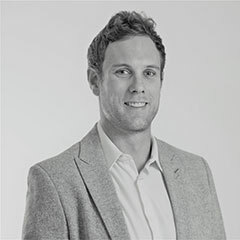 Prior to Pagefield, Jack spent three years at a specialist financial services agency, working with a client mix comprised of exciting fintech start-ups and established household names such as Vitality, Fidelity International and CBRE. Jack has a wealth of experience in conceiving and managing media campaigns, as well as producing thought leadership for clients. Before joining the world of public relations, Jack spent two years as a news reporter at the Daily Mail, completing a graduate scheme which took him to posts across the country, including a four-month stint at the Manchester Evening News. Jack read Law and Accounting at the University of Leeds. Sam is a Senior Executive at Pagefield, having joined in October 2017. He works as a public relations specialist across a variety of existing and prospective clients, predominantly in the political, aviation and manufacturing sectors. Prior to joining Pagefield, Sam worked as an Executive within a global PR agency’s integrated PR and digital team for nine months. His clients included a number of global corporate and consumer brands such as InterContinental Hotel Group, Qatar Airways, the Bahrain Economic Development Board and Hitachi Capital. Sam read American History at the University of Manchester. 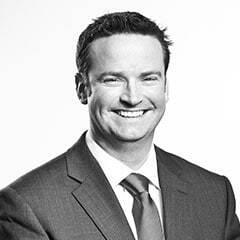 Ben is a Senior Executive at Pagefield, having joined in August 2017. 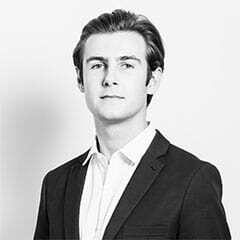 He currently works across media relations, stakeholder and political engagement for clients including Starling Bank, CitySprint and Long Harbour. 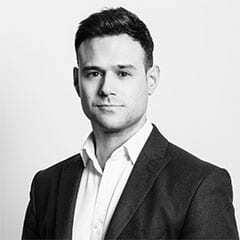 Prior to joining Pagefield, Ben worked within a specialist public affairs practice at a global communications agency, shaping stakeholder engagement in Westminster and Whitehall and supporting clients in the technology, financial services and agricultural sectors. 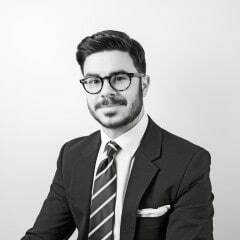 Outside of consulting, Ben has experience in Westmintser, working for the Conservative Party for both 2015 and 2017 General Election as well as working for Graham Brady MP, Chairman of the 1922 Committee. Ben graduated with a degree in Politics and Parliamentary Studies from the University of Leeds. 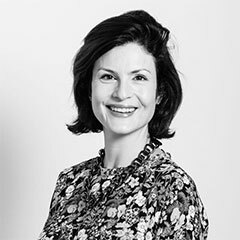 Alice is a Senior Executive at Pagefield working across various public affairs and corporate communications accounts including AB InBev, Discovery Communications, British Airways and the Fundraising Regulator. Alice has experience helping clients navigate challenging policy and regulatory issues and supporting on developing corporate communications campaigns for well-known brands. Alice read Politics at Newcastle University, and has an MA in International Communications and Development from City University London. 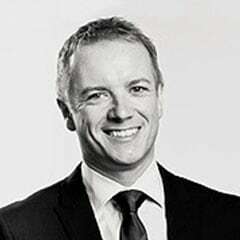 Peter is a Senior Executive at Pagefield, having joined in January 2017. 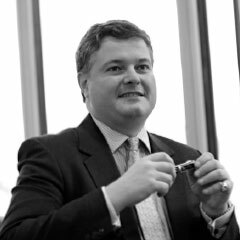 During his time at the company he has worked on a variety of clients, including HS1, TalkTalk and the National Lottery operator, Camelot, where he has provided political research, press office support and helped shape stakeholder engagement in Westminster and the devolved administrations. Prior to joining Pagefield, Peter founded and operated his own network of social media accounts, successfully gaining a following of over 100,000 people from around the world. During this time he worked with a range of global companies, mainly through advertising and promotional campaigns. He has since used this experience to advise clients, such as The University of Cambridge and the CBI, on how to improve the use of their digital platforms. Peter graduated from the University of Portsmouth in June 2016, with a BA (Hons) in International Relations and Politics. 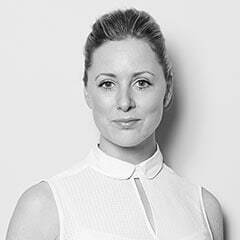 Jessica is a senior executive at Pagefield with three years’ experience in financial services public relations. 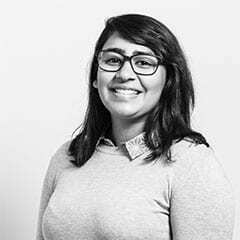 She joined Pagefield in December 2018 and is currently working for a number of clients including Wealthsimple and HS1. Prior to Pagefield, Jessica worked as a junior account manager at Kaso Legg Communications, a financial services PR agency. Her clients included a number of global and boutique asset management firms, as well as custody and dealing platform Winterflood Business Services. Olivia is an Executive at Pagefield, having joined in July 2017. She works across a diverse range of clients, providing research and monitoring services. Prior to joining Pagefield, Olivia held communication and campaign roles at both corporate and non-governmental organisations, including The Body Shop and Fairtrade Foundation. During this time, she worked on international campaigns, producing campaign materials, developing social media strategies and supporting media engagement. She also has experience in issues management and compiling media coverage reports. Olivia graduated from Newcastle University in June 2015, with a BA (Hons) in Politics and History. George joined Pagefield as a researcher in November 2017. In his current role he provides research and monitoring support to teams working across a range of clients and sectors. 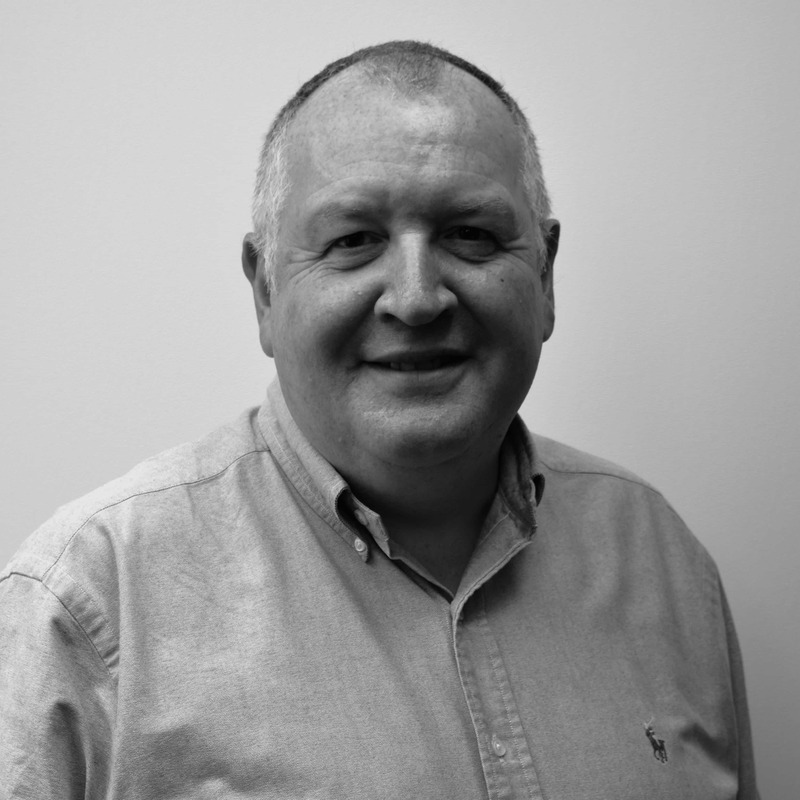 Prior to joining Pagefield, George worked as an analyst at the Single Source Regulations Office (SSRO), the independent regulator of the UK government’s non-competitive procurement of military goods, works and services. While at the SSRO George researched the defence sector, monitored parliamentary and media activity, and analysed government policies. He also supported the organisation’s stakeholder engagement strategy. In 2014 George graduated from University College London with a BA (Hons) in History. 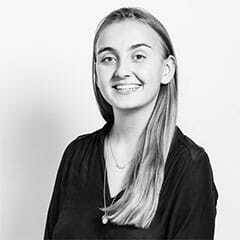 Charley is an Executive at Pagefield, having joined in April 2018. He works across public affairs and corporate communications for clients in a range of sectors including FMCG, transport, insurance and sport. Charley has a broad range of experience across strategic communications, stakeholder engagement, research, and copywriting. 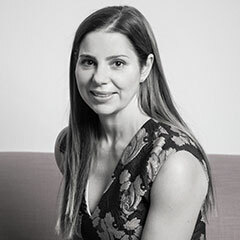 Prior to joining Pagefield, Charley worked at the research and strategy consultancy Populus, focusing on reputation management and supporting the company’s stakeholder engagement strategy. During this time, he worked with qualitative and quantitative research to help businesses like Thomas Cook understand, influence, and improve their reputation. Charley read Politics and International Relations at the University of Bath. Cameron joined Pagefield as a Researcher in September 2018. In his current role he provides research and monitoring support to teams working across a range of clients and sectors. Prior to joining Pagefield, Cameron undertook a tech internship at Northgate, a private-equity backed technology firm, where he worked with the Innovation team developing an app for a large client in the public sector. He also completed placements at both KPMG and Nationwide. Cameron read Politics and History at the University of Essex, graduating in 2017. Alice is a Researcher at Pagefield, having joined in August 2018. She works across a range of clients and sectors, providing research and monitoring services. Prior to joining Pagefield, Alice interned at another PR agency where she worked with a number corporate clients including HSBC and Coca-Cola. Alice graduated from Exeter University with a BA in Politics. During her studies, Alice interned at Pagefield for 6 weeks where she contributed to new business and market research. 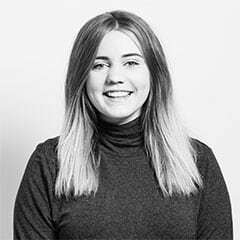 Ellie is Executive Assistant to both Mark Gallagher and Sara Price and has been with Pagefield since 2011. 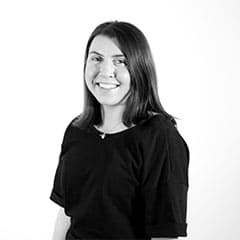 Prior to joining Pagefield, Ellie spent five years at PR agency Fishburn Hedges where, as a team assistant, she worked with high profile clients such as Tetra Pak, Tesco Finance, Sungard, BT and Barclays. She spent the final 18 months of her time there working as PA to the Chief Executive. 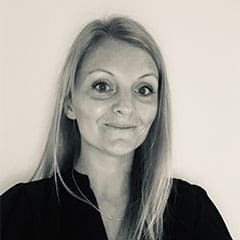 Ellie’s career started as a Project Co-ordinator at the National College for School Leadership in Nottingham, where she was responsible for leading nine regional co-ordinators in key aspects of the NPQH programme for potential head teachers. She graduated from Nottingham University with a BA Hons in Ancient History & Archaeology. 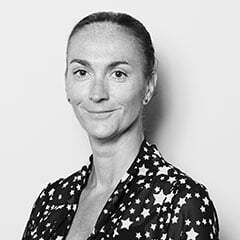 Chloe joined Pagefield in October 2014 and is the EA to Chief Executive, Oliver Foster. 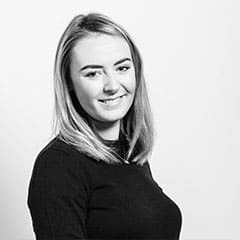 Alongside these responsibilities, Chloe is also the Office Manager and oversees the efficient functioning of the office, as well as playing an important role in the organisation of Pagefield events. Prior to joining Pagefield Chloe worked in a number of different roles, specialising in corporate reception, hospitality management and events. Victoria joined Pagefield as the office assistant in October 2017. Victoria helps to run the day to day functioning of the office, assisting the partners and arranging the boardroom for client meetings. As well as this Victoria helps our finance team with company expenses. Prior to joining us Victoria recently graduated from the University of Hertfordshire with a 2:1 in Business Studies. Alongside her studies, Victoria was a team leader for a catering company, helping to organize and run events throughout Hertfordshire and London. 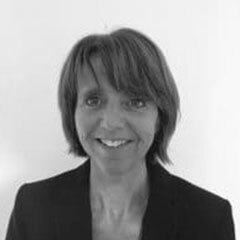 Jacqui joined Pagefield in September 2017 in the newly created role of Finance Manager. She has 20 years’ experience working in various finance roles within the public relations industry. She has managed the accounts for numerous businesses across a range of disciplines: Public Affairs, Digital, Consumer, Corporate, Crisis and Geopolitical. In addition to producing the monthly management accounts for Pagefield, she has a broad finance remit covering billing, contracts, personnel and procurement. 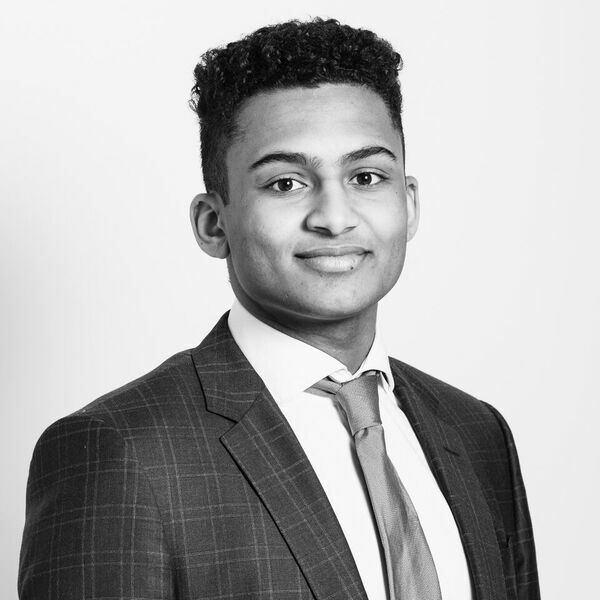 Henal joined Pagefield in November 2017 as a Finance Analyst. Her main responsibilities will include directly overseeing timesheets and client fee analysis. She is a Trainee Management Accountant and is currently studying towards her CIMA qualification. Prior to joining Pagefield Henal worked for a private health care company in a similar role. She graduated from Queen Mary, University of London in 2013 with a BSc in Mathematics with Accounting & Finance. Teresa Graham is passionate about two things: providing strategic advice to ambitious, growing businesses, and freeing those businesses from the fetters of red tape. She is an expert in regulatory affairs, serving as the immediate past Deputy Chair of the Government’s Better Regulation Commission (BRC). She is Chairman of the Administrative Burdens Advisory Board of HMRC and is the immediate past Chair of the Regulatory Board of the Royal Institution of Chartered Surveyors. Publications include a major piece of work on litigation and compensation for the Lord Chancellor, an independent review for the Chancellor of the Exchequer on the Small Firm’s Loan Guarantee Scheme, and a ground breaking study for the Prime Minister, titled “Less is More”. Sir Christopher is a significant authority on international affairs and has unparalleled understanding of the corridors of power around the globe. Sir Christopher Meyer is former British Ambassador to the United States and Germany and former Chairman of the Press Complaints Commission. 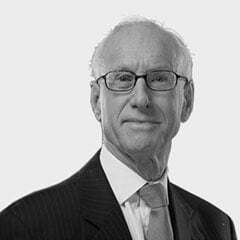 He is a non-executive director of the Arbuthnot Banking Group, a member of the international advisory board of British-American Business inc., an Honorary Fellow of Peterhouse, Cambridge and a member of the Worshipful Company of Stationers. He is author of DC Confidential and Getting Our Way and is a regular broadcaster and documentary maker on foreign affairs. 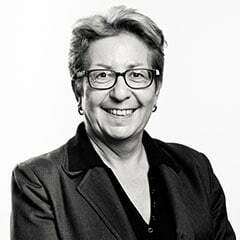 Dianne began her career in a variety of marketing roles with companies such as Co- operative Wholesale Society, ICI, Sterling Roncraft and Woolworths. She was Managing Director of Sandvik, a Swedish steel company and spent fourteen years as CEO of Camelot. Dianne also lectured at universities and started her own advertising agency, Thompson Maud Jones in Manchester. She retired from Camelot in November 2014 and is now President of the Market Research Society and a non-executive director on the board of Next, as well as running a hotel on the Isle of Wight. In 2001 she was awarded the Veuve Cliquot Business Woman of the Year award. Five years later she was awarded a CBE and in 2015, a Damehood. She is a regular attendee at the Women of the Year lunch and has sponsored tables and held positions on the committee. She is a longstanding member of the Women in Advertising and Communications London and has served on the executive committee for many years as well as being its President. 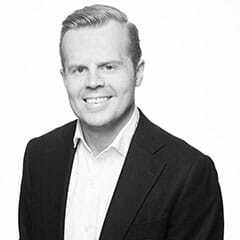 James Ashton is a senior financial journalist and media consultant. He was City Editor and Executive Editor of the London Evening Standard and City Editor of the Sunday Times. He continues to write widely as well as running his own consultancy advising companies on media effectiveness and corporate narrative and chairing events. James is also a director of Comic Relief Limited and runs Oscar’s Book Prize, a competition to find the best pre-school book of the year. Dame Sue Tinson was ITN’s first female editorial trainee in 1964 and continues to advise Europe’s largest commercial broadcast news operation today. She worked for ITN as editor of News at Ten for 11 years, and as producer of many current events programmes: political, foreign, military, science and royal. She has also been ITN’s overall Associate Editor and Director of External Relations, and was made a Dame of the British Empire by Margaret Thatcher in 1990. 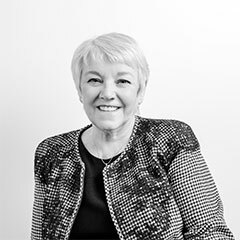 Sue’s insight and media intelligence is much sought after in the corporate world and she has served on the Boards of Asda plc, Chime Communications plc, The Yorkshire Building Society, Freeserve plc, St Ives plc and Cannons plc. She has also worked as a consultant to Camelot and ITV and has served terms as a Commissioner of the Commonwealth War Graves Commission, the Queen’s Golden Jubilee Steering Committee and as a Trustee of the Heritage Lottery Fund. In 2013, Sue joined the Foundation Committee, chaired by Lord Phillips of Worth Matravers, to select the Appointments Board for the new Press Complaints Commission. 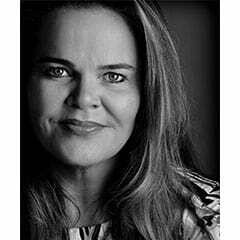 Alison Hastings is a media consultant and trainer. As a consultant her clients include Camelot, Trinity Mirror and Press Association. Alison has an unrivalled understanding of local media and press regulation. She began her career in journalism in 1984, was appointed Head of Editorial Staff Development at Thomson Regional Newspapers in 1994 and was Editor of the Newcastle Evening Chronicle between 1996 and 2002. In 1997 she was appointed as an Editor Commissioner on the Press Complaints Commission and continued working for them as a trainer and consultant from 2002 onwards. Alison was appointed as Trustee for England to the new BBC Trust in November 2006 and was Chair of the Editorial Standards Committee between 2010 and 2014. 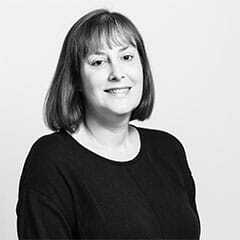 Alison is Vice President of the British Board of Film Classification and a non-executive board member of Archant. Sian started her career as a BBC trainee journalist and moved on to Reuters/GMTV when the new breakfast show launched in 1992. She regularly presented the news and became their political correspondent in the Westminster lobby in 1994-1999. After 5 years covering both the Major government and the early years after Blair’s election she became a civil servant at the Department Health. In all she spent 12 years on Whitehall working for 6 Secretaries of State, first as head of news and later as Director General for Communications for the DH and NHS. In 2009 she was named PR professional of the year and in 2010 was awarded a CB for her services to the Dept of Health. She led a marketing team that created enduring public health campaigns including Change4Life. The marketing approach attracted the attention of Michelle Obama and was adopted as the US approach to tackling childhood obesity. She has since been widely viewed as a health specialist. Following on from government, she joined Asda as Director of Corporate Affairs in 2011. Sian moved on from Asda in 2013 to set up her own consultancy advising on health affairs and communications and has worked with a number of clients including Asda, SABMiller, Diageo, the National Association of Primary Care and NHS England, a number of med tech companies including System C and OrCam. Sian is a trustee of charity Step up to Serve, that leads the campaign to increase the number of young people in volunteering and social action. Sian heads up the health and social care strand of their work. She also sits on the management committee of the Women of the Year Lunch and Awards highlighting the achievements and role of women in society. A communications and brand specialist with nearly 20 years of senior level experience both at board level in-house and as senior management in agencies. Jane has worked across multiple sectors including technology, Consumer, Financial Services, and Media. 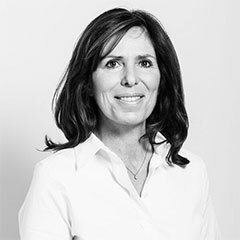 Jane was the first female GM of Edelman PR in the Middle East, as well as Communications Director of Skype during its fastest growth period through to IPO, and was part Ernst & Young’s Management Consultancy in their global Financial Services practice. She also joined the board at United Business Media, and founded and sold two agencies specialising in Communications, PR and Brand. Having worked with tech titans Facebook, Skype, and Expedia, as well as financial clients such as Barclays, Aviva, and Deutchse Bank, Jane works with disruptive leaders to create and build brands and achieve their missions. She brings insight from the world of Personal Data through her time as CMO with Ctrl-Shift Consulting and is fast becoming an authority on the impact GDPR, Open Banking and PSD2 will have on businesses and how they must position themselves with the right messaging, brand and marketing strategies. Over the last thirty years Michael has founded, acquired and grown 16 different businesses across the communications spectrum. Michael has played an integral role in staging some of the largest and most recognisable global events that have taken place in the last twenty years, from the Hong Kong Handover Ceremony to the Millennium Project. In 2012 alone, Michael was at the helm of three of the UK’s major events: the Shard’s unveiling, the Opening Ceremony of the 2012 Olympics and, as Chief Executive of the Thames Diamond Jubilee Pageant, the authority behind the 1,000-strong flotilla that represented the fulcrum of The Queen’s Jubilee celebrations. In September 2012, Michael was appointed a Knight Commander of the Victorian Order. Michael headed-up John Major’s presentation unit during the 1992 General Election and helped with David Cameron’s Leadership Campaign in 2005. He sits on the board of numerous successful companies which include Populus, Aura, Unspun, and The Leadership Agency. He is also a Director of The Oracle Cancer Trust at The Royal Marsden and has diversified into executive search with Grace Blue and Indigo Mile. 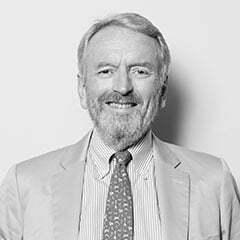 Dr Gerard Lyons is one of the UK’s leading economists and is an expert on the global economy, financial markets and monetary policy, with an excellent forecasting record. He has testified to the US Senate Banking and Foreign Affairs Committees and to Committees in both Houses of the UK Parliament, spoken at the EU-China Summit in Beijing, and on the globalised televised BBC Debate from Davos. He is a Board Member of Bank of China (UK), Chief Economic Strategist and shareholder at Netwealth Investments, advisor to financial consultants Parker Fitzgerald and Chief Economic Advisor to think tank Policy Exchange. He is on advisory boards at: Warwick Business School; the Grantham Institute on Environmental Change at the London School of Economics and Imperial College; and the Official Monetary Financial Institutions Forum, and is advising on a project at the Centre for Social Justice addressing low UK productivity and its wider economic and social impact. He is Vice Chairman of the 48 Group, Committee Member of the Hong Kong Association and he co-founded Economists for Brexit. From January 2013 to May 2016 he was in a non-political role of Chief Economic Advisor to Boris Johnson, the Mayor of London. Previously he spent 27 years in senior roles in The City at Chase Manhattan, Swiss Bank Corporation, DKB International and Standard Chartered Bank. He has been ranked top global forecaster (out of 350) and the month before the financial crisis was one of only two UK economists predicting a deep imminent recession. He is also a public speaker and author. Sir Peter brings with him an unrivalled knowledge of the financial services industry and nearly 30 years’ experience of public service at HM Treasury. Sir Peter is currently UK Chairman of Marsh and McLennan Companies, Chairman of Marsh Ltd, Chairman of Mercer Ltd, Chairman of Burford Capital, Chairman of Burford Capital Holdings (UK) Ltd., Chairman of Hamilton Ventures, Chairman of XCAP Securities Ltd., and is the incumbent Chancellor of the University of Sheffield. In government, Sir Peter spent some 30 years at HM Treasury, working closely with nine chancellors, and was Permanent Secretary from 1983 to 1991. Following his departure from the Treasury, Sir Peter joined Barclays in 1991 as Group Deputy Chairman and was appointed Barclays Group Chairman in 1999, a position he held until he retired in 2004. During this time he was also a Board member of Bass PLC from 1992-2001 and General Accident from 1992-1995. He was also President of the British Bankers Association from 2004-2006 and a member of the National Institute for Economic Research from 1996-2007. He was Chairman of Camelot Group from 2004 to 2011, a Director, Chairman and Deputy Chairman of United Utilities from 1994-2007 and a board member of the OJSC Mobile Telesystems from 2005-2007. Sir Peter is an Honorary Fellow of the London Business School, Hon. Professor of the Management School, University of Sheffield and was a visiting Fellow at Nuffield College, Oxford. Nikki’s background is in strategic marketing, campaigning and politics. In addition to ten years as a Parliamentary Chief of Staff, Nikki has held senior roles including Chair of Westminster Housing, and Ambassador at Large for Variety, the children’s charity, for over ten years. Nikki has been with the charity for over seven years, bringing to bear her experience in voluntary work, politics and business. Nikki looks after major donors and key corporate individuals, and she also helps create events and special occasions to bring Variety’s top supporters together. Nikki was also previously Head of PR for Europe Middle East & Africa for Visa International. Alan Pascoe MBE is an Olympic Silver Medallist and was Vice-Chairman of the London 2012 Olympic and Paralympic Games Bid. 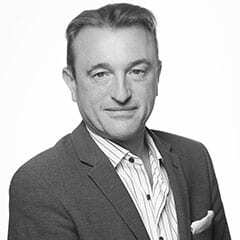 He is also the pioneering entrepreneur behind two world-leading marketing agencies, API and CSM Sport and Entertainment (previously known as Fast Track). 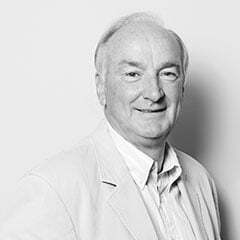 After a successful track career in hurdles – winning a silver medal in the Olympics in 1972 and gold in the European Championships and the Commonwealth Games, among others – Alan became involved in events marketing and consulting, and started two companies from scratch, building both into world-leading agencies. He set up his first business, API, in 1976, beginning with six people, and building up to 350 employees, operating from 13 offices around the world. In 1998, he sold API and then started Fast Track later that year, which became the founding company of Chime Sports Marketing Group (CSM). Over the past 38 years, Alan has devised and organised a wide variety of sports events, including the National Fun Run in Hyde Park (the precursor of the London Marathon) and the Paralympic World Cup. Alan’s many trusteeships have included sports volunteer charity, Torch Trophy Trust, school business charity, Young Enterprise and currently Sir Keith Mills’s charity, Sported; he has also been a member of The Sports Council and the BBC Advisory Board. Debbie holds a number of high-profile leadership positions across associated sectors and is regularly interviewed on those subjects in the media, on TV and on radio. Debbie is CEO and founder of Love Home Swap who established and chaired the government-backed sharing economy trade body SEUK. She is also on the Mayor’s Business Advisory Board and co-founder and chair of AllBright, an investment fund for female entrepreneurs. A long standing investor, Debbie has personally backed a number of female-led businesses including ShareStyle, a digital marketplace for style services, and TAP, a smart technology company that enables Event Producers and Partners to deliver a more tailored event experience. In 2015, Debbie was named as one of the Evening Standard’s 1000 most influential people in London. Hailing from a family of female entrepreneurs, her entrepreneurial journey started at the age of 25 when Debbie launched her first company Mantra, a marketing consultancy, which she later sold to Loewy Group in 2009. Debbie is also a Trustee of the Hampstead Theatre. Tom has led communications work on some of the UK’s most high profile renewable energy projects and has devised and implemented consultation and communications packages for projects across the UK. 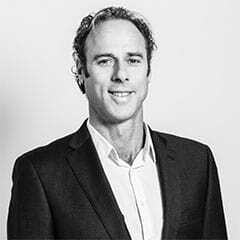 In addition to being an Specialist Partner of Pagefield, Tom runs Gunsko Communications, which services the renewable energy, environmental and development sectors. Prior to establishing Gunsko Communications Tom worked as Head of Marketing and Communications at Partnerships for Renewables. During his time in this role he devised consultation programmes that exceeded ‘best practice’ to ensure that public sector clients could be confident that the community would be central to the development process. Public sector clients included: the Environment Agency, British Waterways,Forestry Commission Scotland, NOMS and Local Authorities. Tom joined Partnerships for Renewables from AMEC‘s wind energy business where he was ‘Media and Government Relations Manager’. At AMEC, Tom was responsible for project negotiations and communications activity across a wind energy portfolio which included high profile onshore sites such as the Lewis and Edinbane wind farms and the Aberdeen offshore wind farm. After 15 years as a network TV presenter, Rob has spent more than a decade advising leading figures in the private and public sectors on strategic communications, reputation risk and tactical delivery. He works primarily with C-suite executives and VIP principals, usually on a one-to-one basis so as to enable and ensure both discretion and candour. He specialises in coaching figures with minimal communications knowledge who are appointed or elected to high office, and equipping them to face the rigours of high-profile media scrutiny. He is highly experienced working with people of widely differing political, economic and religious backgrounds, cultures and personal temperaments. He has a strong practice in the family office arena, where he specialises in conducting reputation risk audits and advising on strategies to ensure a family’s good name perpetuates. He works across a broad spectrum of interests, providing counsel on publicity, branding, legacy-building, foundations and charitable support. Rob began his career as a broadcast journalist. He trained at the BBC and then worked on business programmes for BBC 1 and BBC World, reporting from the US, Pakistan, the Philippines, Taiwan, France and Ireland. He was appointed an ITN news anchor for the launch of the commercial TV network, Channel 5, where he had his own daily programme for seven years. Paddy MacGregor has extensive experience in corporate, strategic, crisis, internal and leadership communications and a strong focus on aligning communications with business strategies to help drive profitability. With over 20 years experience in the public relations industry, Paddy has worked on both the consultancy side and in-house for organisations in a broad range of sectors and across multiple geographies, including three years based in the Middle East. Projects have ranged from product launches and recalls, government lobbying, developing sustainability strategies and establishing communication structures to planning and implementing multi-country communication programmes, overhauling communication functions and successful management of sensitive issues in politically complex countries around the world. After starting life at Hill & Knowlton, one of the largest public relations in the world, Paddy was asked to join one of his clients, UBS, to head its press office for the European region of its investment banking business. Following the merger of UBS and SBC Warburg Dillon Read, he was headhunted by The Coca-Cola Company, initially to manage the public relations and corporate affairs for its Middle East and North Africa division, before taking on a broader role across its European and Middle East business, operating internationally, largely on the corporate, crisis and internal communications front. During his time with Coca-Cola, he worked and lived in the Middle East, Europe and the UK. In 2005 he took up a new challenge with Royal Caribbean Cruise Line, to build a first rate communications function in Europe to ensure that public relations and communications were playing their part in driving demand for family cruises as a credible alternative to traditional holidays. Paddy has also worked at Cargill, the international agri-business, working on a range of projects for their multiple business units in Europe, Africa, the Middle East and beyond and has also spent some time in the professional services arena. Most recently he led the communications around a divestment and subsequent sale of a data centre business in the UK, Netherlands and Germany. Over the years, Paddy has also developed and implemented successful internal communications strategies and programmes for a number of organisations and businesses with complex matrix structures and multi-cultural employees and diverse geographical locations. Throughout his career, he has acted as a spokesman for companies and individuals and provided senior level media counsel. Neil Midgley’s media training deploys a unique combination of experience: before becoming a Daily Telegraph journalist, he practised corporate litigation as a City solicitor. 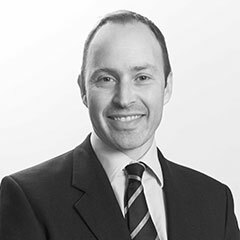 Neil built up his legal CV by qualifying at Linklaters, and subsequently by practising as a senior associate at Debevoise & Plimpton – with a caseload that included high-value Commercial Court cases, oil and gas, insolvency and international commercial arbitration. As a result, Neil can quickly master any brief – and spot the weaknesses in any message. He has put numerous senior business executives through their paces in media training, as well as doctors, lawyers, NGO and charity CEOs, scientists and academics. After retraining as a journalist, Neil wrote about the media industry for The Daily Telegraph for over 10 years, rising to be an assistant editor in the senior management team. As well as conducting many agenda-setting interviews himself, Neil also experienced the other side of the microphone as a respected pundit. He was interviewed literally hundreds of times on TV and radio for the BBC, Sky and others – which gives him a true insight into the predicament of the people he media-trains. Having achieved first-class honours in his law degree at Oxford University nearly 30 years ago, Neil recently returned there, to train as a meditation teacher at the university’s Mindfulness Centre. In media training, he can offer mindfulness techniques to combat nerves and anxiety around interviews. Tom Randell has been working with companies to build strong shareholder and broader stakeholder relationships for nearly twenty years. He began his career as a solicitor at Linklaters in London, where he specialised in capital markets transactions. He then spent a decade in Financial PR with Brunswick and Merlin. Following this he gained experience in-house as Head of Investor Relations and Communications in the oil&gas sector and then at John Laing Group plc, the greenfield infrastructure investor and parent of the listed investment trusts John Laing Infrastructure Fund and John Laing Environmental Assets Group. After John Laing’s IPO one of his roles was to explain how the company could be understood and valued despite it not neatly fitting within a clearly defined market sector. He significantly increased and improved analyst coverage, broadened the shareholder base to include diversified blue chip UK funds as well as North American and European investors, and he managed the delivery of an annual capital markets day alongside regular reporting and external communications. 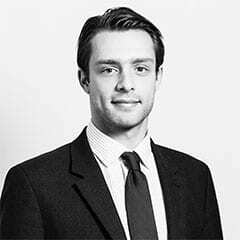 Tom studied Economics and Politics at the LSE and has a diploma in Investor Relations from the IR Society. He is a dual UK/US national and has lived and worked in both countries. Tom brings to the team at Pagefield an experienced insider’s view of how investor relations and financial communications are managed inside a business. Lyndsay King, is Founding Partner of Save The High Street, a coordinated industry-wide initiative to support and empower every local shopkeeper nationwide (UK). Lyndsay spent the last 15 years consulting in retail, marketing, communications, sales, business development and EMEA business expansion. A native New Yorker, Lyndsay started her career as a specialised media publicist in beauty, health and fitness. She worked with an award winning team to successfully launch BOTOX Cosmetic and Therapeutic into the US market. Raymond has been involved in the political scene in Scotland, Westminster and Europe for well over 25 years having formerly been Minister for Education, Housing, Fisheries and Sport at the Scottish Office, and before that served as Parliamentary Private Secretary at the Northern Ireland Office. He was MP for Aberdeen South, for 5 years between 1992 and 1997, and Chairman, Scottish Conservative and Unionist Party. Raymond is a Founding Partner of Halogen Communications, founded in 2002. Since its formation, Halogen has gone on to become one of the premier public affairs and public relations companies in Scotland. Raymond is a highly skilled political strategist having advised some of the UK’s biggest companies and organisations on matters relating to Scotland. He is an excellent communicator and has a vast breadth of knowledge relating to crisis management and strategic advice. He is also an experienced media operator with regular appearances on political discussion programmes and news interviews. Sue has spent 15 years as an adviser to senior politicians, a producer of political programmes and a negotiator between those in the news and those who cover them. 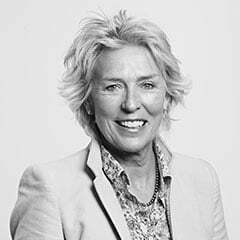 As Head of Corporate Affairs at Channel Four from 1995 to 2000, Sue successfully campaigned to scrap the arcane funding formula arrangements during the passage of the 1996 Broadcasting Bill and then went on to lead the successful campaign against privatisation. For the last 10 years at Channel 5 as Director of Corporate Affairs sitting on the main board, she helped realise several successful re-positions of the channel and implemented a major reorganisation and rationalisation of her department. 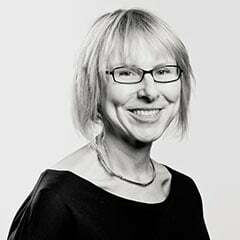 Sue re-focused the PR and communications strategy so that it built Five’s reputation as a serious public service provider of history, arts and children’s programming. Sue also led Five’s negotiations with the Government and Ofcom on all the major regulatory and legislative reviews of the past decade, and was responsible for Five’s distinctive stand to retain public service status without public funding. From her time as David Owen’s Press Secretary, as a producer of Question Time and Newsnight, to her role as one of the BBC‘s key negotiators between all political parties and the Corporation 1992 – 1995, to her most recent responsibilities at Channel Five: Sue brings knowledge and experience that achieves results. 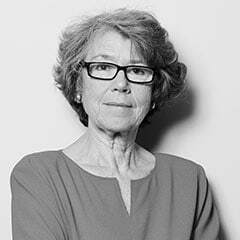 Sue Robertson is a fellow of the Royal Television Society and a member of the International Press Institute. She graduated in History from Bristol University. Sallie has spent her whole career working in senior management at the UK’s largest commercial broadcaster, ITV, beginning in the Publicity and PR division of Yorkshire Television where she ultimately became the head of department. In 1996, Sallie joined Granada Television as Chief Press Officer and in 1997, when Yorkshire Tyne Tees Television was taken over by Granada, she was made Head of Media Relations for the North. In this role Sallie had overall responsibility for all aspects of consumer PR and for the Group’s media issues in the North. Concurrently with this role, Sallie was made Head of Regional Affairs for Yorkshire Television, which included detailed communications with local MPs on the changes and issues facing a consolidated ITV. In 2004, Sallie was promoted to Director of Programme Publicity in the consolidated ITV plc, managing an internal team of 35 programme publicity specialists and a budget of over £2 million. 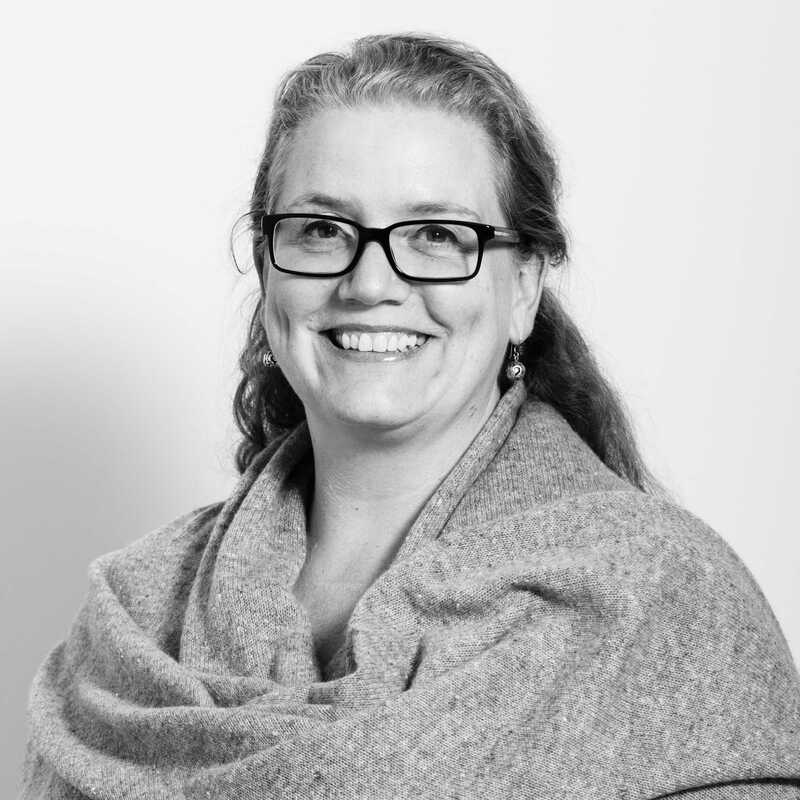 Joining Pagefield in 2011 as Associate Partner, Sallie was a key member of the communications team for the Thames Diamond Jubilee Pageant and now works across a variety of Pagefield clients. 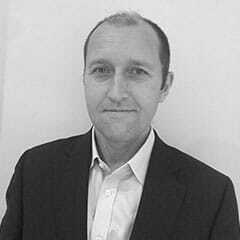 Tim has worked in the media for nearly 20 years, founding specialist crisis communications agency Alder Media in 2010. Kate Wallace has over 25 years of corporate financial communications experience, including 10 years at Brunswick, spanning a variety of business sectors and government organisations. She has worked on a wide range of complex and high-profile financial and corporate assignments for major national and international organisations, both as an external consultant and a member of the in house team. Her responsibilities have involved advising at Chairman / CEO / Board level, devising, driving and delivering financial and corporate communications programmes that deliver measurable business and reputational change. She has shaped and implemented strategic communications programmes, undertaken client reviews and run executive coaching, people development and training programmes. Over the years, clients have included national and international organisations such as Royal Mail, Lloyds Bank, Camelot, Clintons, Norwich Union, Sanlam, Sport England and HM Government, communications consultancies including Bell Pottinger, RLMFinsbury, Tavistock, Tulchan, Powerscourt and Luther Pendragon, and charities such as Guy’s and St Thomas’ Charity, World Horse Welfare and the Malaria Consortium. 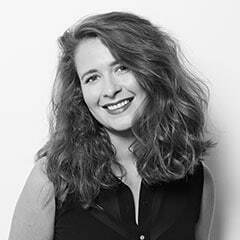 Francesca is a communications and marketing professional with over ten years’ experience. After graduating with a degree in modern languages, Francesca was a John Lewis management trainee before entering the Diplomatic Service (Foreign and Commonwealth Office). At the FCO, she worked on issues ranging from UN sanctions regimes to extradition policy and human rights. Francesca’s first foray into the world of communications was as a policy adviser on technology, trade and industry at the Federation of Small Businesses. She then moved to the automotive sector where she headed up a small policy team working on a wide variety of UK and EU matters, including environmental regulation and safety standards. Francesca spent six years at the Co-operative Group, initially specialising in food and farming public affairs before moving onto legal services, healthcare and corporate responsibility. During this time, Francesca successfully managed Common Agricultural Policy negotiations on behalf of the Group and worked on a number of high-profile, industry-wide campaigns with a particular focus on public health. Francesca took the opportunity to broaden her skills and took a role working for a serial entrepreneur in the management consultancy and technology space. For nearly two years, Francesca was head of marketing, communications and insight for a group of six fast-growth businesses. The experience crystallised a passion for working in the tech industry and she has since operated as a PR consultant in this sector. Francesca now works with a number of fast-growth technology startups advising on communications. She interviews and writes for Fasttrack, the business league tables published exclusively in The Sunday Times. She has co-founded a women in technology network with an international law firm specialising in fintech and e-commerce. Francesca mentors at a social enterprise, Acorn Aspirations, which encourages children aged 6-19 to learn and develop entrepreneurial and technology skills and is involved in Founders4Schools. Francesca also writes for an online tech magazine, Digital Agenda. She is a Tech London Advocate. 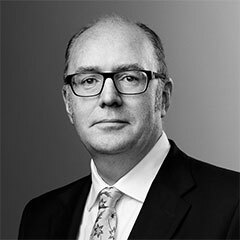 Philip has extensive experience of advising, leading and implementing Financial, Corporate Communications and Investor Relations Campaigns. His approach and advice is based on a background in Finance and Accounting and over 20 years in Communications and Investor Relations. 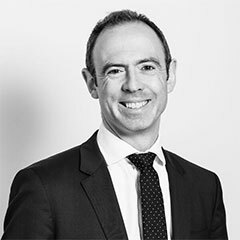 Philip has advised Senior Management teams from small and medium growth companies to large international entities across both the Public and Private markets. He has worked across multiple sectors, including Oil & Gas, Biotech, Retail, Industry, Consumer Finance and Technology. Advising Companies and individuals on reputation management, profile development, IPOs, M&A, shareholder disputes, Government Relations, crisis management and debt holder communications. 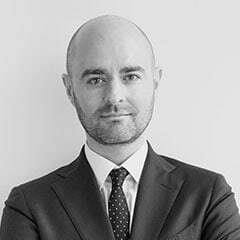 Philip was previously a Partner at Bell Pottinger, having previously been a Director at Pelham PR. He initially trained as an accountant with a multinational US entertainment company.